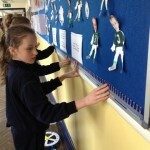 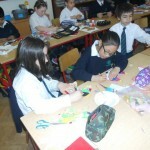 The boys and girls in Room 4 were covering the topic of length in Maths. 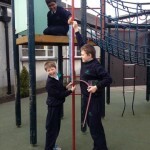 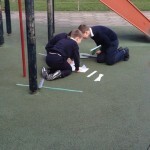 At the end of the topic, we went on a Maths trail to measure the length of various things and places around the school environment to test our knowledge. 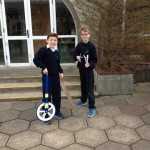 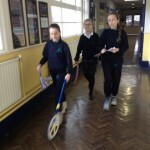 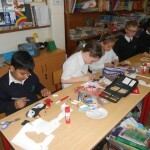 We used trundle wheels, metre sticks and rulers. 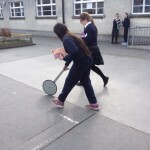 It was such a fun Maths class! 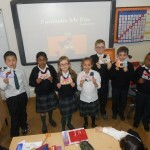 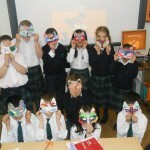 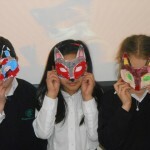 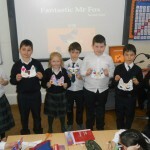 Room 2 have been studying the novel Fantastic Mr. Fox. 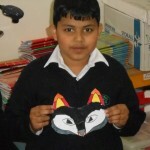 Today we had lots of fun with fabric and fibre creating our own Fantastic Mr. Fox. 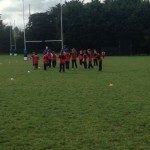 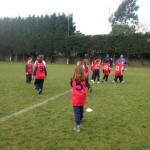 The boys and girls in 4th and 5th classes were lucky enough to be doing tag rugby lessons with Ken from Leinster Rugby in school for the last few weeks. 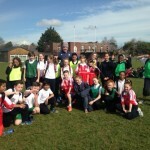 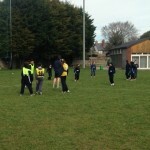 After the lessons the pupils went to a tag rugby blitz and played against pupils from other schools in Wanderers Rugby Club. 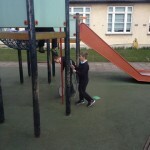 It was a great day and everyone had great fun. 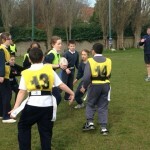 Thanks to Ken for all the lessons and a great day at the blitz!